Please call boat owner Marv at 267-357-three nine one two. Boat is located in Rock Hall, Maryland. This is a very fast boat but easy to sail. Many upgrades including Schaeffer furler, new standing rigging, solid vang, reverse cycle heat/ac 16'000btu. H/c pressure water. Dockside ac with xantrex 40 amp charger.speed/depth/wind and auto pilot. Wheel steering. Atomic 4 gas engine was a new swap out from a 1980 boat that was stored. This engine has been completely up graded to include fresh water cooling by Don Moyer Marine. 150 hrs now on this engine. New shaft, folding prop and PSS dripless seal. 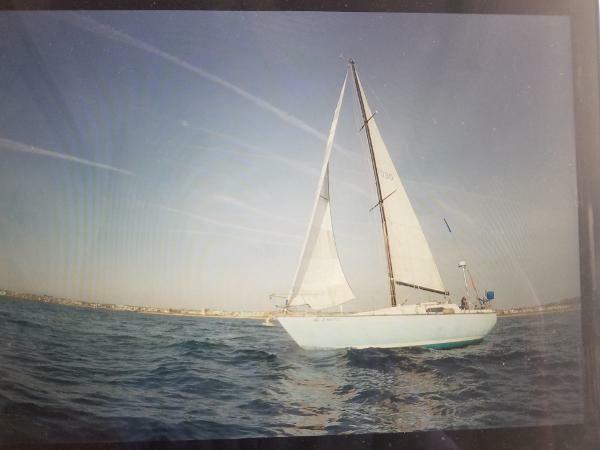 Newer sails,bottom in excellent condition, this is a turn key boat. This boat is USCG documented and I have every receipt from the day it was purchased new. 1981 Tartan T33 PRICE JUST REDUCED $5000 MAKE AN OFFER!! The legendary pairing of Sparkman & Stephens with Tartan Yachts created beautiful, sleek, and strong sailboats that were fast and fun to sail. The T33 sparkles as a prime example of that stellar partnership; only 215 T33s were built between 1979- 84. Lovingly sailed and meticulously maintained, she's a classic beauty with graceful lines and a spacious, inviting interior. You'll find plenty of cruising comfort below decks, but don't be afraid to let her take you to the races. You'll be impressed by both her speed and steadiness at the helm. Your time is very important to us, please call to schedule your appointment to view this special offering. This isn't just a beautiful boat, this is a must-see tournament winning, fish catching machine. One owner, garage kept, immaculate maintenance, ready to fish, lots of extras. Powered by two 350 Yamaha's that are still under warranty with 550 hrs. Furuno NavNet & radar 12kw open ray, Furuno commercial bottom machine, Simrad auto-pilot, 2 Icom VHF's, Fusion bluetooth stereo cranked by JL audio speakers and amp. Extra fuel capacity totalling 480 gallons to get you anywhere you want to go. Double pumps all around, lots of storage. Shadow caster underwater lights and under gunnel lighting for those dock party nights your going to have. Load Master trailer included. To say this boat has been babied and cherished is an understatement. Contact me with questions 941 809 2022. Price negotiable. 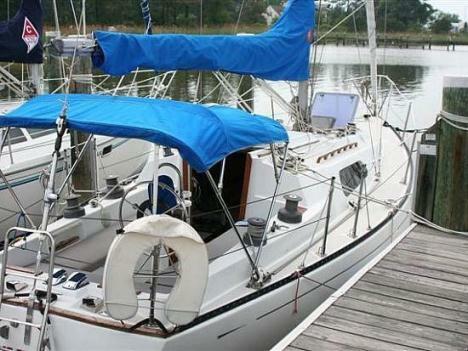 Excellent condition 2010 33T Contender with grey hull sides and white bottom for sale. Powered by 2014 Yamaha 350 HP outboards with only 90 hours and (YES) Yamaha Extended Service Warranty through 2020. This boat was purchased brand new by the current owner and has been stored inside a building built by the owner specifically for the boat. All maintenance has been performed on schedule by certified Yamaha service center and dealer. Nice custom touches like under gunnel LED lighting have been added. Meticulously maintained and rigged with Simrad GPS plotter with 3' open array radar and Furuno sonar this boat is turn key and ready to fish immediately. 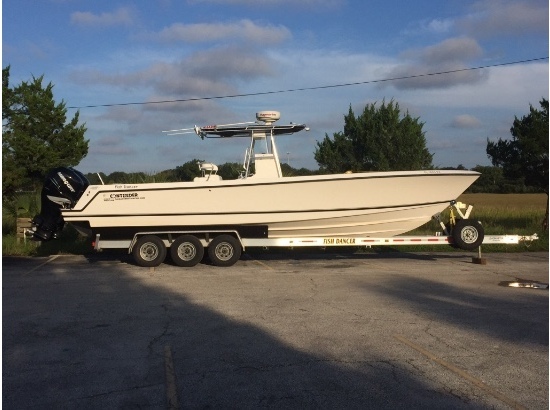 The boat has been very lightly used since it was purchased, averaging four to six kingfish tournaments a year as well as a few additional "fun fishing" trips per season. The boat and motors arent the only sweet part of this deal, the trailer has been replaced with a 2014 Float-On aluminum trailer that has only been used a handful of times and meticulously maintained and stored indoors since day one. Don't miss your chance to own a late model Contender with almost brand new motors and trailer at a fraction of the cost of a new boat, motor and trailer. 1974 Morgan 33 T 1974 MORGAN 33'. DESIGNED BY CHARLES MORGAN BEFORE MORGAN WAS TAKEN OVER BY CATALINA YACHTS. 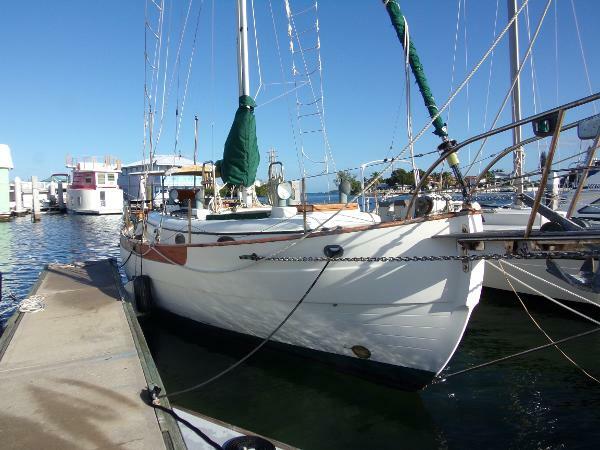 THIS CLASSIC COASTAL CRUISER HAS PLENTY OF OFFSHORE EXPERIENCE AND IS READY FOR YEARS OF FUN FOR A NEW FAMILY. CLEAN INSIDE AND OUT. WITH A STURDY HULL, ALL LINES LEADING TO THE COCKPIT, LAZY JACKS, AND A RELIABLE YANMAR DIESEL; SINGLE HANDLED SAILING IS A BREEZE. UPDATES INCLUDE MANY FEATURES YOU WOULD FIND ON VESSELS MUCH NEWER AND LARGER, INCLUDING BUT NOT LIMITED TO: PRESSURIZED HOT WATER, JIFFY REEFING SYSTEM, LAZY JACKS, HYDRAULIC BACK STAY TENSIONER, GALVANIC ISOLATOR, INVERTER WITH 4 NEW AGM BATTERIES AND CHARGER. 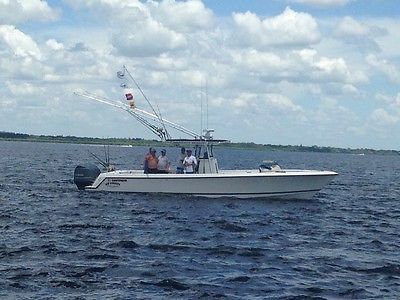 2007 Contender 33 T 2007 33 Tournament edition Contender powered by Triple 250 hp Yamaha 4 strokes with less than 400 hours, Tri-Axle Aluminum Trailer w/Brakes also included. Electronics package includes GPS, Plotter, Depth Sounder and Radar. 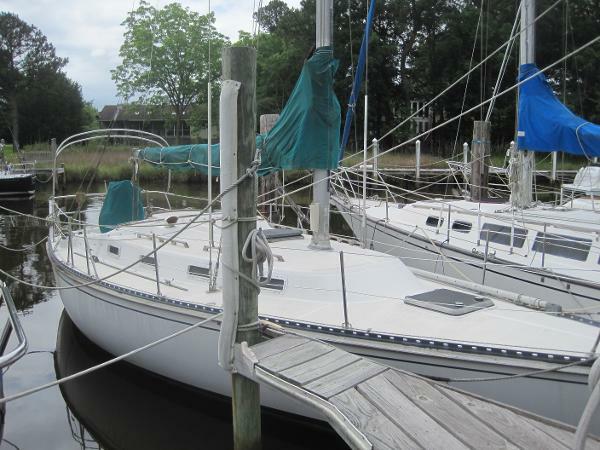 She has been very well maintained by her owner and is in great running condition. 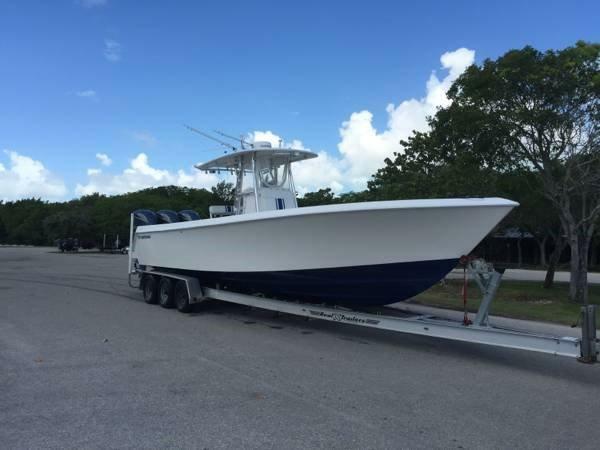 Call today for full specs, photos and to set up an appointment to see this beautiful 33' Contender Tournament fishing machine. MACHO DUCK 1979 Tartan Ten, hull # 138, re-cored, and repainted in 2004. Bottom and all foils Faired, winner of multiple NOOD’s and Lake St. Clair Championships, winner of Bayweek, top contender in T-Ten nationals. 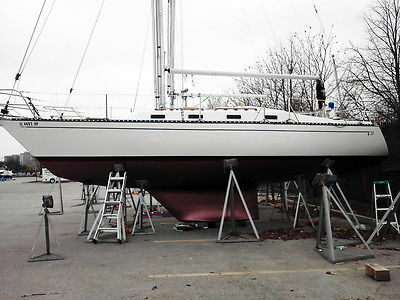 Deck set up with crew forward layout, this boat comes with a custom built trailer, a full set of race sails, No electronics, 11HP Farymann diesel.